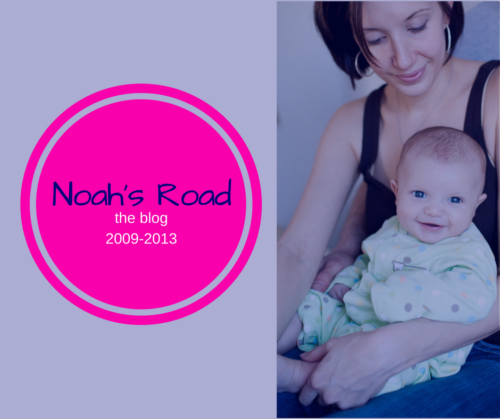 Starting on the 9-year anniversary of Noah’s shaking, I micro-blogged daily on my Facebook page, sharing with raw transparency, what this journey has entailed. In case you missed it, here are the daily posts in order. Because I do share almost daily on Facebook, make sure to Like and Follow me there! This is the day of the crucifixion. This day nine years ago a thirty-year-old with sassy hoop earrings, a shoe obsession, and a taste for the dramatic reality of the Real Housewives of New York City was shoved from her selfish small life into another life she could never have imagined. Around 3 PM the ground moved beneath her, and the shaking would last for years. Of course, that woman was me. This day nine years ago is the beginning of my story. Never could I have known when I dropped off my blueberry-eyed baby at his daycare provider’s house that morning, or as I walked into the drizzle along a floral pathway, that I’d never see that same baby again. That afternoon I’d rush into the emergency room in a panic to see my son splayed out on a hospital bed, a fury of frenzied, focused doctors trying to save him. He was limp and gray. A blue lump of plastic breathed for him. A doctor asked if I was mom. I nodded through tears and hopes that I’d still be mom after this day. Because my baby looked closer to death than life. My baby had been seizing without relief. They didn’t know what was wrong. He couldn’t breathe on his own. They’d put him in a medically induced coma to calm his brain. As I cried there – you realize in these moments it’s your only skill – my husband joined me. I watched the landscape of his face change as his world rumbled beneath him. And in his face I saw what the doctor must have seen in mine when she asked if I was mom. We knew intrinsically that everything we had ever known was already gone. In an instant. They say it’s quick, that it’s always normal until it’s not. It’s true and it’s cliché. And you hate it when you know it. That night we were told our baby had a brain bleed. And brain trauma. What baby gets brain trauma? Are you sure? We were confused. Asking questions that didn’t even make sense to us, feeling stupid and inadequate and overwhelmed. It was an awkward puzzle with too many missing pieces. We learned quickly to squash the fear. To push down the darkness. But it would creep up. Like a foul rush of vomit. We didn’t know Jesus then. We had no redeemer. The darkness threatened our every moment, the spare thoughts not already assigned to worry and questions and pulsating sorrow. We were interviewed by social services and the police. We were asked to recount the days before that day. We were questioned because perhaps we had abused our baby. We had to be ruled out. We didn’t know it then, but the man in the room who tipped his chair back and tapped his pen like a toy was a homicide detective. Because our son might not last the night. And then this accident that didn’t seem to be an accident, this trauma, the twists and turns we didn’t see coming, might become a homicide. But we didn’t know it then. And thank God. Because reality was shifting too quickly, and we just wanted to go back to the morning coos and giggles and warm vanilla coffee. But we could not go back. What we had had already been lost. Late Tuesday morning Noah opened his eyes slowly, crusted tears gluing them closed. He fought for the smallest human habit. We held his only hand not weighed down with the IV and splint. We stroked his arms. That afternoon his nurse removed the blue plastic tubing that had spiraled down his throat and into his trachea to help him breathe. He let out a whine like a newborn kitten. He’d always been so vocal, cooing at us. We thought our Noah had returned. “Hey, crazy! How’s my crazy boy?” Mike said. We later learned Noah’s meow was the sound of a baby in pain. He was crying, but the tube had rubbed his throat so raw he couldn’t produce a sound any louder than the whimper of a kitten. Noah slept most of the day, drugs still heavy in his bloodstream. He was sometimes alert enough to follow the direction of our voices, his eyes glossed over as though blind. When he turned his head, moved it upward in Mike’s direction, Mike’s face danced with joy. I knew he was wrong. There was no blood in Noah’s eyes. Wouldn’t I have seen it? My certainty of his error was no different than a teenager knowing a parent is wrong; all I had to assert my claim was immaturity and a childish certainty that what he said couldn’t possibly be true because I didn’t want it to be. I didn’t realize the blood isn’t visible to the naked eye but is found in the retina, which covers the back of the eyeball. We would become experts on this in time, but in that moment I was stunned and confused. “What would blood in the eyes mean?” I asked. “Retinal bleeding in conjunction with the subdural hematoma would signify that the same significant trauma that caused the brain bleed also caused the retinal bleed.” He used his hands as he spoke. “Injuries of this nature, when seen together, are often an indicator of a shaking.” He brought his hands together as if holding a large ball, and he moved them back and forth. Understanding the weight of his words was a slow process. When we’d selected a daycare for Noah we’d asked about nap schedules and bottle warming. My biggest concern was that she kept his nap routine. What else could go wrong with a baby? This man was telling me my son had been shaken. Someone we trusted had done something we didn’t even know was possible. The woman I’d trusted – this woman with a sweet smile and fresh-scented hair – had lifted my son, moved him back and forth. My crying baby had stopped crying. Not because he’d been soothed, but because he’d been shaken. He stopped crying because he couldn’t. Because his brain had been scrambled like an egg. And I’d been concerned about bottles. Naps. His powdered bottom. It would take six years for Mike and I to walk determined up to the altar at our church to pray with our pastor over forgiving the woman who, in an instant, changed our life (and hers). In the thousands of days between that Tuesday morning in the hospital and that pivotal Sunday at church, we’d lived through a trial, newspaper and magazine articles that painted us as witch hunters and questioned the validity of Shaken Baby Syndrome, appeals, and confusion over where to put our hurt and anger. We grieved becoming special needs parents. We grieved dreams that once mattered to us. Forgiveness is a daily choice. We make that choice again when we remember what might have been. We make that choice when we thank God for showing up and redeeming what was shaken, even though that shaking hurt. If we are to be ambassadors of Christ, if we are so sow peace and love and faith in a community of broken people, we can’t carry unforgiveness as our cross. And neither can you. Today, wherever you are, make it your alter. Bend down and give the burdens and the people who have broken you to God. Then tomorrow, make that choice all over again. And the next day. And the next day. Wednesday morning, Noah awake from his coma and rehab now in motion, we were encouraged. For a brief moment we were suspended in a promise that we’d been through the worst of it. And then Noah’s right foot twitched. At first we thought nothing of it. It was intermittent, as though he was shaking off a fly tickling his toe. When the corner of his right top lip began to quiver rhythmically, the neurologist ordered an EEG. The EEG showed that Noah was having seizures on the left side of his brain. The neurologist prescribed additional intravenous anti-seizure medications. By later that afternoon, nothing had changed; the increase of drugs hadn’t worked. Noah continued to twitch. With each small erratic movement of his body and his body’s failed response to the medications, we grew increasingly aware that we were not over the worst of it. We just didn’t realize how much farther we had to go. Around nine PM the attending physician came to check on Noah’s progress. Though he was in his early fifties, he had thick brown hair that draped across his forehead like a member of a boy band. He wore chinos and brown loafers. After looking over Noah and each of the machines’ readings, he stood at the edge of the bed and leaned on the counter. He went through the list of all my son’s potential struggles – learning disabilities, physical disabilities, visual disabilities, blindness, hearing impairment, speech disabilities, Cerebral Palsy, seizures, behavior disorders, cognitive impairment, and death – as casually as if ordering a coffee. Technically he had every right to inform us of what our future could hold. He had literature, studies and personal experience caring for shaken babies to support his projections. While he spoke the truth, it wasn’t the truth I needed. I needed grace and hope. I needed to be held and comforted, protected under a heavenly wing, promises whispered into my spirit. The shock of the doctor’s words and the darkness of Noah’s diagnosis slammed me down hard, and from there I spiraled deeper into despair. I couldn’t look at my son. I couldn’t be in the same room as him. I couldn’t even think of him without wailing in hysteria or throwing myself down onto the cold tiled floor. After the long night of hysteria, several failed attempts for family and friends to get me to see Noah, and hours of staring at the corner of a pale pink blanket in the waiting room, word spread among the staff that Noah’s mommy was experiencing some anxiety and needed assistance coping. The hospital social worker contacted the hospital psychiatrist. The doctor found Mike, and together they guided me into a small room with a wide window that brought the sun into my darkness. The psychiatrist’s wide brown eyes were steady and warm, and his recognition of me in the moment – when no one else knew how to reach me – was a powerful healer. Looking back, I can’t help but see Jesus in his eyes, love transcendent though this man who didn’t know me, but somehow, still, KNEW me. Yes, he was a professional. Yes, he was trained. But make no mistake: God places people in our lives to help lift us up out of the darkness. This doctor would not be the first. There would be so many others who would lift us up and carry us to redemption and grace. If you are in a place of darkness, if the world feels as though it has swallowed you whole, please don’t keep your eyes down. Look up. Jesus will meet you in the darkness – and sometimes He’ll do it by putting a man in front of you with warm brown eyes and a hippie ponytail. When we are broke, sometimes it’s the strangers who offer us grace. But as Hebrews 13:2 tells us, those strangers might actually be angels. Yesterday I shared snippets from one of the darkest days of my life. I’m not sharing my past to drag you into the darkness with me, or to leave you depressed after a Facebook post. It’s bad enough Mike and I felt like we were labeled “the Downers” for years; invitations rarely came – after all, no one knew how to talk to us; we accessorized with dark clouds and gloom. But that was before Jesus got ahold of us. And now beauty and redemption can be found in every bit of our story. But we all know the crucifixion had to come before the resurrection right? There was death before renewed eternal life. I’ve taken you along – and you’ve been so patient to read these long hard posts – but as we continue, though the reading will still sometimes be hard, I’ll be showing you the grace, mercy, and redemption through these early memories. I wasn’t a believer before Noah was shaken. I’d dabbled in dreaming about God and wanting to believe in Him. But I was self absorbed and selfish and had a limited perspective on the world. And in all honesty, after I went to college I thought people who believed in God were simple minded and took the easy way out with “God.” But still, deep in my spirit, God had whispered to me over the years. I memorized the Lord’s Prayer as a young girl in a closet. I bawled when I walked into churches. I scratched God out of every marriage vow because I didn’t want to be a hypocrite. It’s as though one part of me desired to know God and the other was terrified of what knowing Him might cost me. Until the deepest love I’d known lay naked and breathless before me. Suddenly, I’d pay anything. Desperation is powerful. I imagine you’ve experienced this kind of desperation. You’re at the bargaining stage. “I’ll do anything,” you’ll say. “Please, God.” It doesn’t matter whether you love God, hate Him, or think anyone who believes in Him is either an idiot or crazy. This is the foxhole moment. In the 1940’s a phrase was coined, and I’m sure you’ve heard it: “there are no atheists in foxholes.” The premise is that when men are in grave danger, whether or not they believe in God, they seek Him out in desperation. Better to ask a God who might be there than not to bother at all, right? 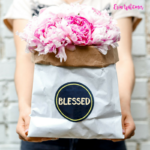 At some point in that hospital, desperate, exhausted, broken, and with a mess of mascara running down my high-maintenance face, I had to give my child over to God. I had to believe He was there. Buried in darkness, curled up and terrified, I had to reach up to Him. There was nothing left for me other than Him. 2 Timothy 2:2-13 tells us that when we are faithless, God is faithful. In that foxhole moment we’re seeking God earnestly. In our terror we are stripped of our arrogant questions and self-absorbed pre-conceived notions about who God is and what He owes us. In that moment we believe because we have to. Jesus tells us in John 11:40, after Lazarus was raised from the dead, that if we believe we still see the glory of God. Friends, as the girl who’s been there, can I tell you this is true? For the foxhole prayer warrior, that glory can be rescue. Because God specializes in saving. Psalm 68 says our God is a God who saves. David, who penned 72 psalms, mentions God saving 42 times in his psalms. Isn’t that incredible? David spent much of his life running and hiding. He was the ultimate foxhole warrior. And his psalms are proof of his faith in the foxhole. Because I believe his faith was strengthened IN the foxhole. The LORD is close to the brokenhearted and saves those who are crushed in spirit (Psalm 34:18). My sweet friends, I’m proof of this. Wherever you are on your faith journey or in your life, and whatever circumstances have you hiding in the darkness of a foxhole, remember that God is there with you. If you surrender to Him, He’ll lift you out of the foxhole – and you’ll be saved. The back of Noah’s eyes were thick with blood; it was one of the telltale signs of his shaking, the shirring of the blood vessels in his eyes, like the shirring of blood vessels in his brain. The blood covered the macula, the part of the eye that communicates with the brain. The brain shuts down body parts that don’t effectively communicate. It’s a bully of a boss. After weeks of eye appointments with a writhing and screaming baby in waiting rooms filled with geriatrics, and watching our son react to his world in a wholly auditory way, we agreed to surgery. Without it, his brain would shut down his eyes and he’d be blind. He was six months old now, and we were finally seeing bits of his personality come back to life. 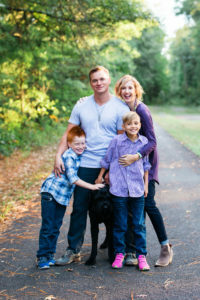 It had been a slow process because of the narcotics he’d been given to help wean him from the weeklong medically induced coma that had finally alleviated the seizures in the hospital weeks before. He was finally putting his little toes back into his mouth, something he’d been doing before the trajectory of our life had changed. There were now hiccups of joy despite sleepless nights and fear over the future. On our way to the surgery, Mike asked me if I’d prayed that day. We were fresh foxhole prayer warriors, still so new to believing God had a hand in our life, and wholly unaccustomed to a faithful life. I admitted I hadn’t. I nodded. I turned to look out the window just then, and on the side of a brick building was a giant black sign with bright white letters. It was only one word: Believe. While Noah was under anesthesia for his surgery, the surgeon decided to take pictures for our upcoming trial. He knew they’d be paramount to proving the severity of damage from the shaking. First, he took pictures with Noah lying down. Then he took pictures with Noah upright. He discovered that when Noah was sitting up, the blood drained from behind the macula (the danger zone that threatened his vision) into the bottom of the eye, where it was harmless. It posed no threat to the brain there – or his sight. Noah never had surgery that day. Our son’s vision could be saved without it. We marveled, cried, rejoiced. We believe, we believe! I don’t personally know a single person who has followed our story who can deny miracles at work in him, from his survival to his continued recovery. He has even blown away the PICU staff, a group of medical professionals convinced statistics could foretell the future. 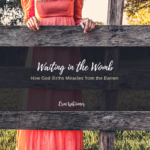 God used a baby tossed into the most horrific of circumstances to bolster the faith of people — hundreds over the years – so much so that it’s not just his parents who can say we’ve seen the glory of God, but now, so can you. I have a bookmark that says, “Pray hardest when it’s hardest to pray.” While that’s lovely in theory – and I would even pass that wisdom along to others – it wasn’t possible for Mike and I during that first year of our new life. I’ve shared over and over again how broken I was. How my faith was newly formed in a foxhole. I didn’t know Scripture or how to pray. I didn’t know Biblical stories of overcoming and God’s promises or blessings. I knew pain and I knew love. And God was right there in the middle of it. What I could do was mutter and grumble and groan and cry and face plant into hard and soft surfaces alike. Grief changes you. It leads you by the nose and follows like a shadow. Despite the fact that I struggled almost daily to look up, to look beyond my own veil of misery, God still provided. He didn’t back off or take a backseat because we understood grief more than we understood Him. Though we were often prayerless and powerless, God placed an army of prayer warriors on the pavement with us. 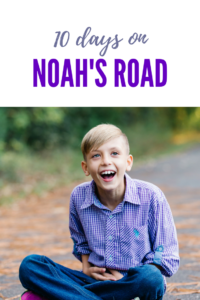 When our good friends purchased Noah’s Road, a blog for me, they provided a highway for God’s people to intercede for us in prayer. We had over 1 million visitors from 42 different countries. People prayed. People asked their churches to pray. People donated money and hosted fundraisers for our medical expenses. Though we were overwhelmed with the simple daily steps of being human, we were taken care of. We didn’t belong to a church. We didn’t step into a building each week or sit in a pew. That’s not what church is anyway. The church is community. We were a church without a steeple. We were steeped in love and grace and mercy and gifts that bound our broken hearts. People went without financially to ensure we had all we could need. People sacrificed their time so we could be with our son. People prayed for hours and hours because it was clear we were too wounded to form the words. Nearly ten years later, Mike and I do belong to a physical church, as well as the greater community of believers. We show up and we lay hands. We pray over friends and strangers alike. We cry for the helplessness we sometimes feel. We sacrifice financially and with our time for the hope that our small actions might spur a spirit-hungry person to Christ. We do this because Jesus called us to this. We do this because we have followed the example of men and women who blessed us beyond anything we could have hoped for or thought or imagined. We do this because tragedy becomes even more tragic when we allow the pain of our past to stunt our impact of God’s kingdom in a profound way. No matter where you are today or what you’re struggling to overcome, or what tragedy has defined you for too long, today you can ask God how He wants to use all that hurt for His glory. 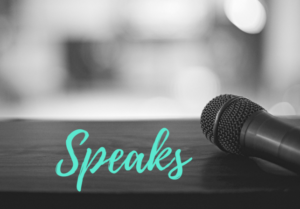 If you don’t have the words, that’s OK. Romans 8:26 tells us that the Spirit helps us in our weakness, and even when we don’t know what to pray for, the Holy Spirit intercedes for us and communicates the desires of our heart straight to the Father. God knows your heart. And He doesn’t want that tragedy to stay tragic. He wants to redeem it. Just as He wants to redeem you. After Noah was shaken, within that first week, the hospital psychiatrist told us that many marriages don’t survive an event so traumatic. We tucked that warning deep inside, and it took little time to realize what he meant. In true transparency, we grieved differently and often medicated. We were exhausted and sleep deprived. We had moments of deep intimacy and profound love for each other, and moments when life together felt insurmountable. We sought therapy, advice and prayer. Marriage is hard, right? For most of us, other than parenting, it’s the hardest thing we’ll do in this life. Early on, our families interceded for us in order for our marriage to survive. They took our kids so we could get away and connect. So we could remember what life was like together before every heartbeat ached. And when life turned into a new normal, they kicked us out on date nights so we could remember how far we’d come. At some point, though, not even the loving encouragement of our families would be enough. We needed to learn how to love each other in the way our heavenly father loved us. We leaned in and plugged in. Ultimately, for us, believing the purpose of our marriage was holiness instead of happiness created the greatest motivation for us to work through the epic challenges that come with sharing a life, a past, and a future. We are not struggle free. We live nowhere near perfection or pretension, but humble awareness that our life together is marked by a daily choice to never give up. When I told my family I was going to Peru on a mission trip, there was a symphony of shock and confusion, followed by a very emphatic, “Of all the places in the world to go, why would you go there?” That was my dad. He’s practical in every way except for doling out money generously, so this response was perfectly in line with his thinking. Plus I’m his little girl – even at thirty-nine. I don’t mind; it helps me feel young. And I need that when the weight of my past ages me. It’s not that my family has anything against Peru. This isn’t bigotry or Americanism at its worst. Their response to my news made sense at the time. I hadn’t even bought asparagus grown in Peru. Really. For nearly seven years I’d boycotted not just produce, but also the country, its people, and even its rotisserie chicken. It doesn’t matter that people told me it’s the best chicken they’ve ever had. The woman who shook my son was from Peru. Did you know forgiveness could be so complex? Maybe you do. Maybe as you sit and read this you realize you’ve hated things because they represent a hurt you’ve owned for years. Sure, it’s ridiculous to have hated Peru – even though the Peruvian government was involved in the trial and there were candlelit vigils in Lima. But that’s part of my story. I have to claim it. At first Peru was difficult to learn to love. Even the landscape was unforgiving. The dessert’s jagged, hard mountainsides were covered with dirt that clung to everything. Only if you brushed a finger across a plant would you be reminded that God intended it to be green – because everything becomes brown, covered in a blanket of dust. Poverty was overwhelming. In the beginning, all I could think was “no wonder she fought so hard to not want to come back here.” The first three days were spent obsessing over her. Crying. Praying. Remembering what was and could have been. Remembering the broken dreams. At first, everything around me created the perfect backdrop for dreary and dread. But God will birth beauty even in a place covered in ash-like dirt. It was in Peru where I laid hands on an infant with Cystic Fibrosis. I prayed over a sweet little girl in a wheelchair, her body slowly deteriorating. I made hundreds of blankets with my mission team. I fed hungry people and offered hope to the line of men and women who waited patiently just so I could pray over them. I was transformed in this place I could have continued to hate, because broken people just like me showed their weakness, their love, their bravery. It was in Peru where I finally put to rest the last of my anger and resentment, feelings I’d carried that I didn’t even understand. Peru is my land of forgiveness. A place of promises. A part of my heart now forever. And don’t even get my started about the rotisserie chicken. It’s the best you’ll ever have. My first Mother’s Day was two days after Noah was released from the hospital. I remember Mike planting hydrangeas and lilacs for me. He stayed outside most of the day digging into the dirt; he’s always grieved by burying his emotions in the cool soil, planting new life as he struggles to breathe the life he’s been given. We took a walk. All I remember about that walk is just the two of us, the sun, beautiful clear skies, and a conversation about how maybe I should be on Valium for my depression. Thankfully, I never took the Valium. When I realized less than two weeks later that my period was late, I took a pregnancy test, laid it on the counter, and took care of my five-month-old baby. He’d always been patient and happy, but when we brought him home from the hospital he was always irritated, difficult to console. When I happened back into the bathroom hours later and saw the pregnancy test on the counter, I was more than surprised to read the result. At my first OB appointment, still shocked, I asked the doctor, “What are the chances this was caused by stress?” She laughed, but I was barely joking. I told only a handful of close friends and family. Even as my belly grew, I kept the pregnancy to myself. When Noah was in the hospital I’d already decided I’d never have another child. Motherhood was nothing but heartache. Who would willingly do this? I cried daily over this baby I couldn’t imagine loving as much as Noah. I had nearly lost Noah. How could I love another baby after what we’d been through? 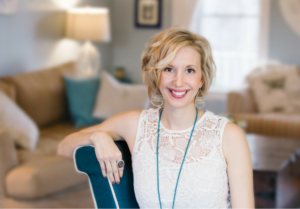 While I was pregnant with Noah I savored everything. Counted kicks. Used a Doppler to hear his heartbeat. (We even whipped out that Doppler during parties. You haven’t seen silly until you’ve seen grown men put a Doppler on their private parts.) When the kicks subsided one afternoon, I panicked. We know love so much more when we fear loss. Until then I didn’t know I loved this baby. A couple weeks later, when the ultrasound showed a little boy, I finally felt that quick pulse of happy. When our sweet Avry was born five days after the conclusion of the trial, we experienced joy again. We’d lived in a fog of heartache for so long we’d forgotten the hope that comes with a baby bursting into this world. The nurses scolded me often because I refused to have him sleep in the plastic bassinet. I couldn’t bear to not have him nestled into me. He’d given me life again. I wasn’t willing to let that go. Avry was my first lesson in God’s perfect timing. If it had been up to me, I never would have had another baby. Thank goodness God sometimes ignores our short-sighted plans. Avry’s influence on his brother was paramount to Noah striving for more. As a baby globally delayed because of his brain injury, Noah needed someone to push him along. Avry did that and more. To this day Avry is Noah’s encourager, his prayer warrior, and his best friend and greatest adversary – just as brothers should be. And where heartache once was king, we now find joy in everything. How many times do we look at people’s perfect family photos and think they must be the only ones without heartache, without darkness, that life for them is a symphony of perfection? Dear friends, you’ve traveled an emotional road with me over the last week and a half. I plunged you into darkness on that first day, and since then you’ve seen silver linings in every bit of transparent pain I’ve shared with you. All by the grace of God. Life these nine years after our own tragedy is perfectly normal. It’s full of farts and dirty bathrooms, socks strewn across the house, rollerblading in the house, Saturdays at the skate park, hurt feelings, fighting, raised voices, blessings and kisses whenever we can sneak them in. We are imperfectly perfect. Our children drive us insane, just as we prayed for so fervently. But you now know where we’ve come from. You now know we’re here only by the grace of God. You now know that there was a time when smiles like this seemed as possible as world peace. You’ve seen where we’ve come from, from the pit of darkness that God delivered us from. You’ve witnessed how faith grew in the dark place and it blossomed with hope and prayer in the midst of desperation and reluctant forgiveness. You’ve seen that if you believe you will see the glory of God. When you see other families like ours – the ones that look perfect on the outside – remember what you see is never where they’ve begun or where they’ve been. Remember that we each have a broken place inside us. Perfectly coordinated outfits can’t heal that brokenness. Only God can. And we’re here as a witness that He will. Did these posts inspire you? If so, I encourage you to subscribe to my email list. Don’t worry, it’s just me who sends emails, and they typically come once or twice a month. 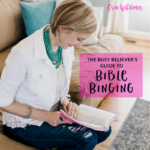 Just as I did with these snippets into life on Noah’s Road, my heart is to help you find your faith in the fray of everyday. Also, don’t forget to follow me on Facebook, where I post daily.